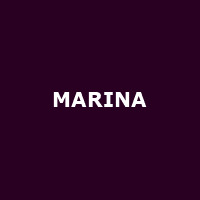 MARINA (formerly known as "Marina and the Diamonds") is the Welsh musician/singer Marina Lambrini Diamandis who came second (to Ellie Goulding) in the BBC's Sound of 2010 poll. Marina's 2010 debut, 'The Family Jewels', reached No 2 in the UK chart and No 5 on the US Heatseekers countdown and was followed in 2012 by "Electra Heart", "Froot" (2015) and 2019's: "Love + Fear" (as MARINA). Mon 29th Apr 2019 MARINAO2 Academy Newcastle (Newcastle-upon-Tyne)More Info..
Fri 3rd May 2019 MARINARoyal Albert Hall (Kensington)More Info..